An entertaining read filled with great truth. Bob Goff has a transparent style of living life and writing. He is a unique man with many gifts and talents. Love Does is filled with stories of life made into chapters which put together made a book of Bob’s life. Bob enjoys jumping the tracks and experiencing life without a plan. He finds God when he is willing to just go and do. When we are not afraid any more than we can start doing stuff for God. Each chapter starts with a statement about what Bob used to think and what that story has taught him, the real truth. Bob finds that each day turns into a hilarious, whimsical, meaningful chance that makes faith simple and real. There are many great stories and challenging concepts in Love Does. I encourage you to be challenged by Bob’s perspective on life, faith and how to do love. I love to hear your thoughts on this book. Share below! Aging parents are a part of life, after all we all get older. The difficult thing about getting older is that things seem to start wearing out. All of us will reach a point where we can’t do what we used to, even to the point where we cannot take care of ourselves as we need to. Watching a parent age can be very difficult but nothing is more difficult than the time in which you have to make the transition of stepping in to help your parent as they age. I am in the that phase of life right now. My dad is 83 and he has to have 24-hour care and companionship due to Alzheimer’s Disease. Even if we were not dealing with this divesting disease, he would be reaching a time in life where he would need more help taking care of this home or even his health. Realize you are not experiencing a role reversal. Many people refer to this time in life as a role reversal, you become the parent and your parent becomes the child. That is not true. You parent is still your parent and always be. They are just aging and are not able to do all the things they used to do for themselves. As I have watched my dad’s disease progress I have been sure to keep our roles in the forefront of my mind. He is my dad in need of my help not a child. This has helped me stay present in the moment. Instead of trying to reteach something or reacting to a mistake he makes over and over again in frustration. I try to just take a deep breath and remind myself he can’t help it. It can be divesting to your parent to find themselves in a place where they can’t do all the things they used to do so easily. How you treat them will make all the difference in the world. No adult wants to be treated like a child! Though you might be doing things for your parent that you do for your children please remember this is the person who changed your diaper, taught you to walk and loved you through the teenage years. They are still your parent! Always show honor to your parent. There is no expiration date on this command. Though this time of transition is difficult always keep in mind you are to treat them with honor. There are so many changes happening in their life when you keep honor and respect as a part of your relationship it will make the changes easier to deal with. As with all people, we need to treat our parents the same way we want to be treated. As my family has faced the many changes brought about with age and disease I have always strived to keep the golden rule in mind. Someday I will be the one needing help. How would I want to be treated? How would you feel if you were no longer allowed to drive and expected to give up your favorite activities? Look for other options. It might be time for your parent to stop driving but finding alternative transportation will be crucial to keeping them healthy. My dad has always been very physically fit and he loves sports so when we reached the stage in his disease that the doctor said we needed to take away the keys I looked high and low to find someone to take over the part he could no longer do, drive. He still loved participating in playing volleyball 3 times per week and work outing at the gym the other 3 days. He was able to continue playing volleyball for 3 more years and he still lifts weights at the gym 3 times per week. Needing more help in life meant he had to give up the keys but not the activities he loves so much. Losing independence is difficult, treating your parent with honor will make it easier to accept. Appreciate them for who they are right now as well as who they have been to you your whole life. Staying in the moment with your parent can really help you emotionally deal with how much life has changed for you and your parent. Make each day together a favorite day. We all love to have fun. No matter our age laughter is good medicine for the soul. Challenge yourself to find ways to have fun together. As Dad became more limited in the things he could do we searched for other things he had enjoyed in the past. 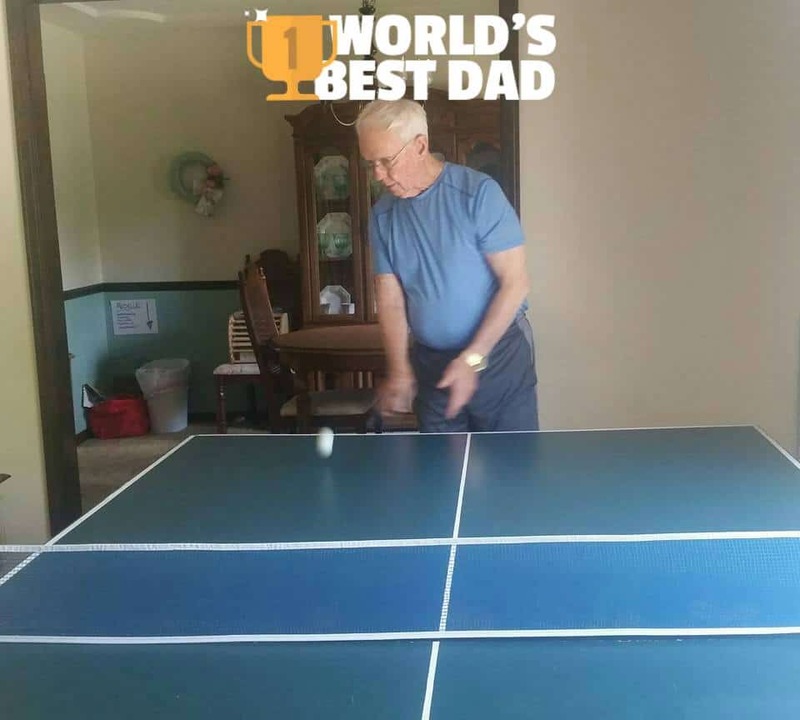 I remembered playing ping pong with him when I was little so we gave it a try. He loved it and was still really good. Soon we replace the formal living room with a ping pong table. It has been the source of tons of fun for us, as well as for the others caring for him. All of us enjoy things we are good at much more than something that is a struggle. Keep searching to find the things that still bring joy to your parent, it will create the opportunity for new good memories. Appreciating them in the moment will help you cherish the time you spend with them now as you know they will not always be here. Your time and support will mean more to your parent than you can imagine. Watching our parents age is not easy no matter how you look at it. 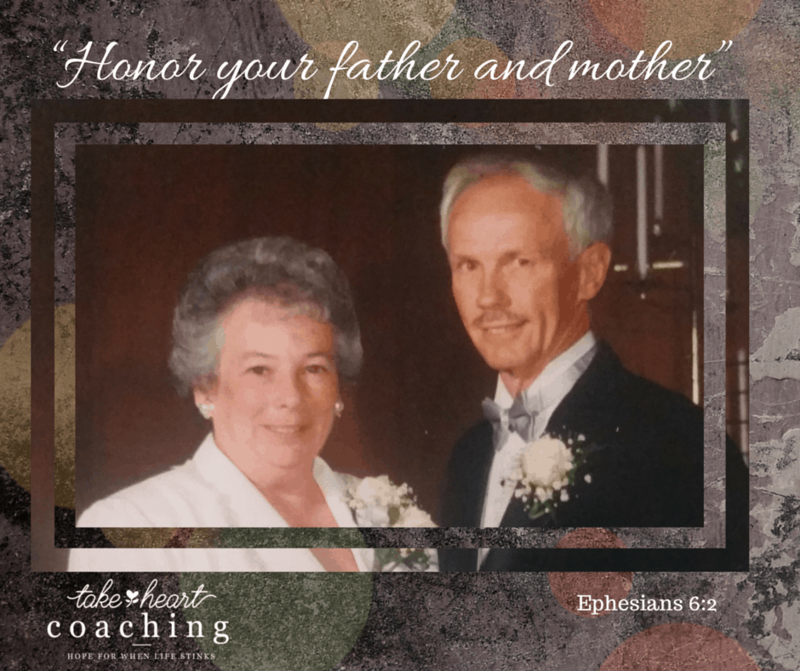 I hope you have found my 3 tips to gracefully help your parents as they age helpful. If you are facing challenges with this transition in your life, coaching might be just what you need to handle it better. I would love to help. Please contact me and we can set up a time to visit and see if coaching is a good fit for you. If you have additional tips or ideas to deal with aging parents I would love to have you share them below. Katie is a midtwenty year old who found herself struggling with the transition into adulthood. She has been in small town KS since graduating from college. She was excited to get a job as an elementary school teacher but then she found herself struggling with feeling stuck in a rut which made her feel unsuccessful in all areas, personal and professional. What was the most difficult part about your transition? At first I just thought this is what being a grown up is. Once I knew something had to it change it was identifying why I felt overwhelmed and like I was stuck in a box. What did you do to get outside of the box? I hired a coach, Rayna. I explored what needed to change. I began a plan of action to seek peace with God, developed a budget plan, sought new social opportunities and found a routine that lead to more sleep. Finding one problem helped me to go deeper and deeper and deeper to really get to the root of what I needed to find peace. I started reading the Bible more and even joined an online Bible study. What do you think was most helpful for you to move into the hope and peace you were wanting? Having a plan on paper to be able to see what I needed to do to move forward. Journaling was also a big help to me and something I have continued to do today. Was there a special verse that the Lord used to encourage you during this time? How did your faith grow from this transition time in your life? I found a deeper and more real relationship with God. More of a reliance with Him in each moment of the day. Do you think you would have found that without this period of time in your life? No, with all the struggle there was growth. The environment and challenges really pushed me to grow. They helped me to realize that I can only rely on God for sure. Katie has moved from being stuck in a box, feeling alone, and confused to hope, looking forward to change, with excitement about what is next. Peace with Money? Is That Even Possible? Life if full of transitions. All of us have had to make the transition from dependence on our parents to provide daily needs for us to growing up and needing to take care of things ourselves. Have you ever found yourself making poor choices and ending up in trouble with money? I feel that my parents did a pretty good job raising me to understand hard work and money and how they go together. They also taught me to make good choices with money but when I got married I did not know how to work with someone else and managing money together. Within 5 years we were so far in debt I did not see how in the world we would ever get out. Living pay check to pay check was our lifestyle until health concerns took one of those pay checks away. Now what? Eventually, we took advantage of a program which helped us set up a plan with our creditors and make payments. 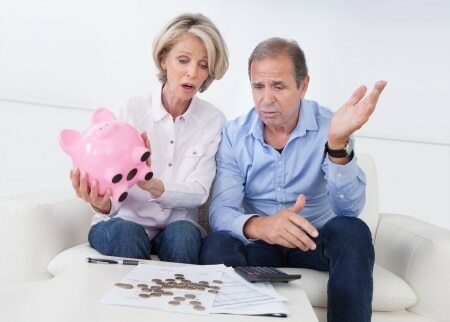 This plan worked for us but it took 5 years to pay off all the debt at $800 er month. Paying this long meant we paid a lot of interest and struggled for a long time. Since that time I have had the honor of facilitating Dave Ramsey’s Financial Peace University 23 times. I have lived debt free and in peace with money for 15 years now. I love the opportunity to help other people find peace in their life while dealing with money. The key to having peace with money is deciding before the money ever makes it into your hands. If you do not give every dollar a name it will disappear. Spending just a little time head of payday determining what you need to do with each and every dollar will make a big difference in how far it goes. Convenience has dominated our culture today. I found myself without cash in my wallet for weeks at a time. I just used my debit card. I was not creating debt but I was also not in control of my spending. God owns it all. One short sentence packed with so much truth and challenge to our normal thought process. Everything that we work hard for is still a all His. We were chosen to manage that which He has given us. Learning to live this way changes the way we use money. Even when money is tight it is important to not stop giving to others. Staying others focused helps us to make better decisions with our money. Holding tightly to the money will cause you have a clenched fist which will prevent more money from being able to get into your hand. Learning to hold it loosely because you understand it is not yours anyway changes how it comes and goes in your life. Each of these life changing lessons I have learned came from Financial Peace. Embracing these concepts have truly helped me learn to live in peace with money. By living debt free I have had opportunities to make life changes that I have felt lead to make. The freedom to follow callings of the Lord is priceless. How have you learned to handle money? What would you like to do differently? An unexpected life. Isn’t that what all of us live? As a young girl I had many dreams and even more plans. Unexpected is the perfect description of what my life has been and something tells me you would probably say the same thing. As we grow up, we dream of the perfect husband, house and number of kids to complete our family but what do we do when life turns out nothing like or even only partly like our dream? Michele Cushatt’s latest book Undone is an amazingly written memoir of her unexpected life and how she has learned to embrace it. I am an avid reader but I have to say I cannot remember the last time I read a book which impacted my heart and mind as much as Undone. Michele’s vulnerability and transparency is an amazing blessing. She not only tells of the events of her unexpected life but shares her heart of both struggle and acceptance through it. Her ability to show God’s hand and will in the middle of the mess is just what my heart needed. It was a blessing to hear how Michele struggled through an unwanted divorce, the blessing of a remarriage at the same time the challenges of step parenting, blending a family, battling cancer and then adopting 3 high needs children. None of these events were her dream but through the journey she sees how each of them were God’s plan for her. Michele reminds us that in the thick of life we have to remember that God is good. He is there with us. He can see what we can not and He calls us to trust Him. Learning to take a step back and see the big picture is an awesome gift which will encourage our heart like so few other things will. Is not this the words of all of our hearts? Undone is a MUST read! I know it will bless, encourage, challenge and infuse hope in your hearts as it did in mine. After you order your book then be sure to sing up for my FREE Book Chat & Facebook Community HERE.